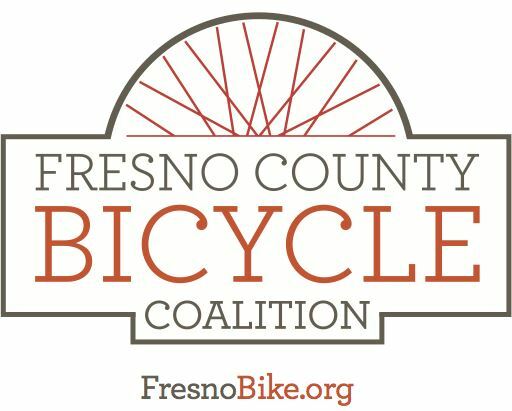 All aboard for a new FCBC members-only Bike, Bus and Rail Adventure to meet up with the Merced Bicycle Coalition next Sunday Oct 14, 2018! So far Ed, Thor, Gene and I plan to take Amtrak up to Merced to catch the 9:10 am YARTS to arrive Yosemite Valley Visitor Center at 11:40, have lunch and ride around until we would leave the Visitor Center at 3:50pm, arriving back in Merced at 6:17pm for a quick bite possibly before the return trip. Might be a good idea to bring snacks? If you plan to take Amtrak from Fresno it leaves at 7:53am arriving at 8:55am in Merced, and returns 7:36pm from Merced arriving Fresno at 8:36pm and costs $28 round trip. YARTS tickets are also $28 adults and $20 seniors round trip. If buses and trains are not your thing- feel free to meet up with everyone at the Visitor Center at 11:40am. RESERVATIONS CANNOT BE MADE FOR SAME DAY TRAVEL. RESERVATIONS CLOSE AT 2 PM PST EACH DAY FOR THE FOLLOWING DAY’S TRAVEL. ONE CHILD, 12 YRS. AND UNDER RIDES FREE, WITH EACH PAID ADULT AND DO NOT NEED A TICKET. TO RESERVE A SEAT FOR A CHILD, WHEN ENTERING THE ADULT NAME, SELECT “ADDITIONAL SERVICES” AND SELECT FREE CHILD FROM THE DROP-DOWN BOX. CHILDREN 13 – 16 YRS. PAY THE REDUCED CHILD FARE, CHILDREN 16 YRS. AND OLDER PAY THE ADULT FARE. MAKE SURE POP-UP BLOCKERS ARE DISABLED OR YOU ALLOW POP-UPS FROM YARTS. REFUNDS CANNOT BE COMPLETED ONLINE- REQUESTS FOR REFUNDS CAN BE DONE BY EMAILING TICKETS@YARTS.COM. PLEASE ALLOW UP TO 10 DAYS FOR YOUR REFUND TO BE PROCESSED. YARTS CHARGES A $2.50 NON-REFUNDABLE CONVENIENCE FEE PER TICKET OR $5.00 PER ROUND TRIP. REFUNDS WILL ONLY BE HONORED IF THEY ARE REQUESTED 24 HRS IN ADVANCE OF YOUR TRIP. TICKETS WILL NOT BE REFUNDED IF THE REQUEST IS RECEIVED AFTER THE TRIP HAS TAKEN PLACE. EXCEPTION: IN THE EVENT OF A NATURAL DISASTER OR SERVICE DISRUPTIONS, YARTS WILL REFUND TICKETS IF THE REQUEST IS RECEIVED WITHIN 7 DAYS AFTER THE EVENT. PLEASE REFER TO THE TERMS AND CONDITIONS LISTED ON YOUR TICKET. CHANGES CAN BE MADE TO RESERVATIONS BY CREATING AN ACCOUNT ONLINE. SIMPLY GO TO RESERVATIONS SREEN (MAKE A RESERVATION) AND CLICK “SIGN IN”. CHANGES CAN BE MADE TO PASSENGER NAMES, DEPARTURE LOCATIONS AND DEPARTURE TIMES. DUE TO HIGH RIDERSHIPIN THE SUMMERS, RESERVED PASSENGERS WHO DO NOT ARRIVE IN TIME FOR THEIR BUS WILL BE CONSIDERED NO-SHOWS AND THEIR RESERVATION WILL BE FORFEIT. PASSENGERS WHO WISH TO TAKE A BUS THAT IS NOT ON THEIR RESERVATION WILL BE CONSIDERED AS A WALK-ON AND WILL BE BOARDED AFTER RESERVED PASSENGERS ON A FIRST-COME, FIRST-SERVE BASIS. RESERVATIONS ARE RECOMMENDED BUT NOT REQUIRED. YARTS ALLOWS WALK-ONS FOR ALL BUSES ON ALL SERVICE CORRIDORS.